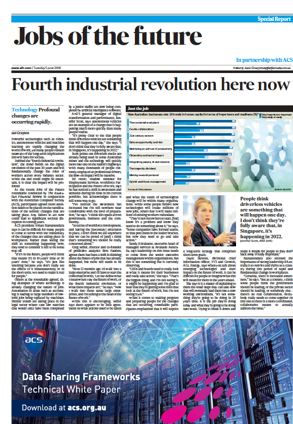 The Australian Financial Review in partnership with the Australian Computer Society last year published a series of articles on Diversity in the Workforce, Cyber Resilience and Jobs of the Future. The content is thought provoking, challenges many myths and preconceptions, and lends itself as an excellent springboard for further discussion around these topics. Thank you Erica Smyth AC for bringing this to our attention and Arnold Wong for the thought leadership in this space. You can access a pdf copy of the articles here.